The newest eye product that's making a name for itself is a little bit unexpected and a little bit under the radar—though not for long, seeing as it has already sold out at Sephora once. It also has over 6000 "loves" on the beauty giant's website and tons of glowing reviews. Thankfully, it’s just been restocked, so the moment is prime for your taking. Keep scrolling to see which buzzy eye cream it is. People are in love with this eye gel, which is infused with collagen to plump fine lines and wrinkles while it hydrates and primes skin. It's formulated with an organic compound of allantoin, elastin, and glycolic acid to renew and promote younger-looking skin. The reviews are in, and they're amazing. One customer writes, "OMG, I am in love with this product! I have only had it for a couple days, but my under eye make up applies seamlessly AFTER ONE USE! I have a realllly dry under eye area and this is the first product that has depuffed and reduced dryness/fine lines. Side note: I love that there is no alcohol in it!" Another says "I absolutely love this gel! My under eyes are the part of my face that I am most self conscious about, and this gel removes puffiness and makes my skin look amazing even after a night out! I would 100% recommend it!" This product is also gluten-free, cruelty-free, and hypoallergenic. So what do you have to lose? I know I'll be trying this out for myself, stat. 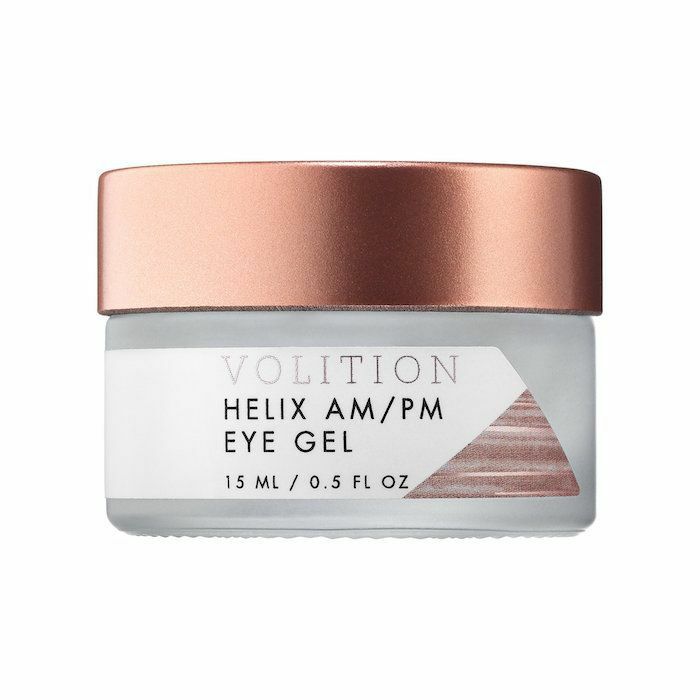 Will you try this eye gel? Let us know in the comments. Then, see the $12 liquid eyeliner that Byrdie editors love.